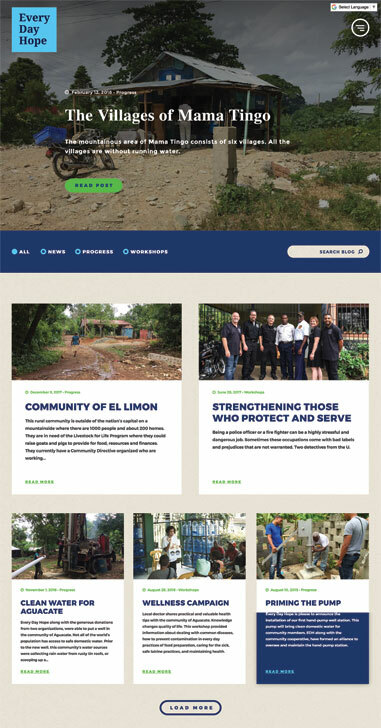 Every Day Hope operates with the purpose of building sustainable communities that start with the individual; so when we were given the opportunity to work with them on a new website, we could not have been more excited. 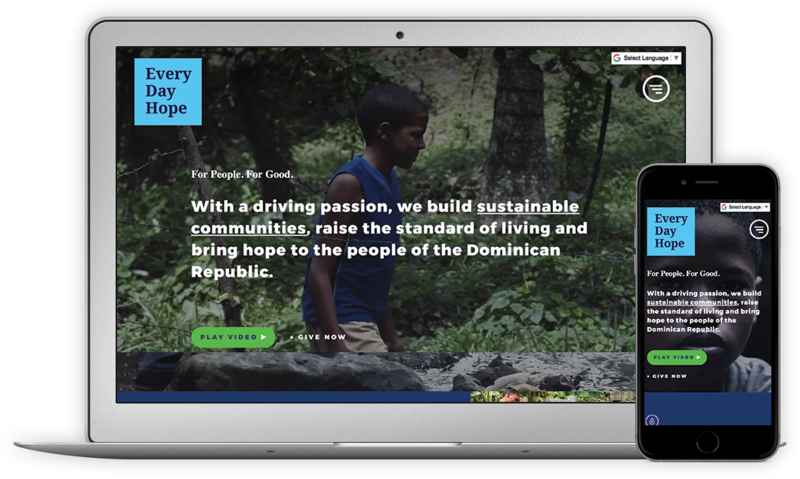 We are always inspired by humanitarian missions and building them welcoming websites that encourage support from their visitors. For Every Day Hope in particular, we worked with our friends at Take 7 Productions to incorporate video and photography to bring an authentic life and face to Every Day Hope's mission. Humanitarian missions need to inspire action. 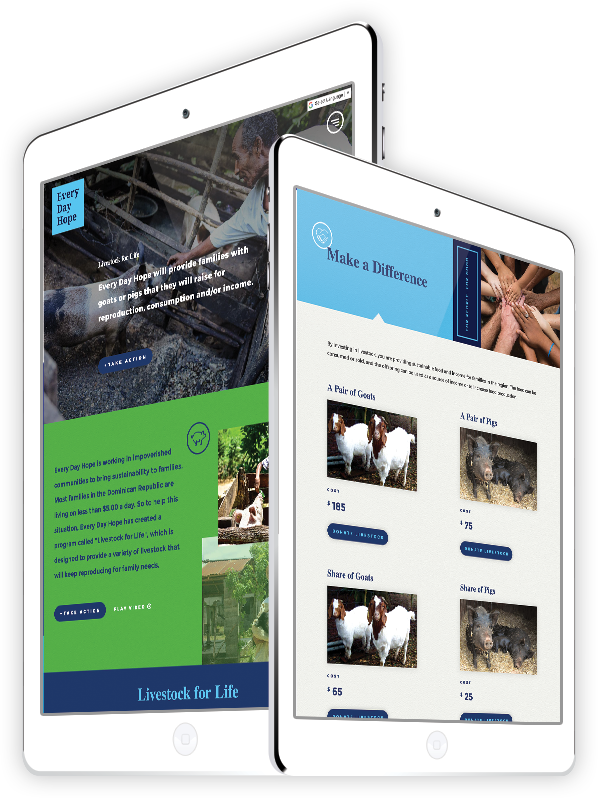 We brought interaction to the forefront with multiple ways for visitors to make a difference. Lifestock for Life and other donation areas allow immediate support, while the blog section provides project updates for those individuals invested in Every Day Hope's mission.